If you’ve been following my Instagram over the last few weeks (let’s be honest if you’re not then you should be asking yourself why?) then you’ll see I’m fully immersing myself in a change of lifestyle. I’ve completely overhauled my diet, reverting back to a clean more pescatarian diet. Cut out alcohol and I’m enduring circuits and extra gym classes. I’m running the Great North Run in September (pray for me now) and I’m on my most determined crusade in over 5 years to become the best version of me possible. With all of these healthy changes, I’m making it is also getting me to consciously think about my options when I dine out too. 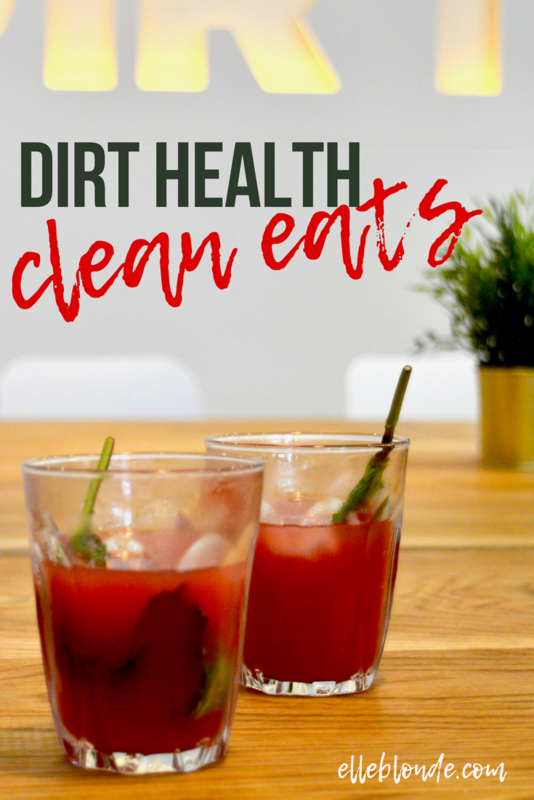 So it came at no better time when Jess, the owner of Dirt Health invited me along to check out her health haven. If you’re unfamiliar with Dirt let me give you a quick overview. The health-conscious concept food store opened its doors in October 2017. With a passion for creating great tasting clean food. Located on Chillingham Road, a 5-minute drive from Newcastle City Centre the brand believes in only using local produce with a known source. With a heavy emphasis on their hashtag #dirtnotdiet, you can expect big things from the brand which is growing in strength. A large portion of the menu caters for vegetarian and vegan diets. However, they also serve a plethora of meat options. Where all red meat is sourced from Blagdon Farm and the chicken from Northumbrian Poultry. Both companies are free range and ethically farmed. What is interesting about Dirt is that the same amount of love and care is put into both the meat and vegetarian/vegan dishes. Giving them an equal weighting on the menu. Neither dish takes priority, they are both crafted to owner Jessica’s high standards. Jessica and her team are extremely passionate about bringing back the connection of the food on their plate. And although they can happily provide macros and nutritional advice for all of their dishes. The whole team are focused on creating an enjoyable clean eating culture. That can also be enjoyed for its rich flavours. With a commitment to sustainability, Dirt uses biodegradable takeaway packaging (they are on Uber Eats too). This packaging can be thrown into your compatible bin. Giving all Dirt customers peace of mind that their actions are heading in the right direction to a more sustainable world. Every aspect of Dirt has been meticulously planned and executed perfectly. The juxtaposition of the branding against the look of the eatery is absolutely perfect. 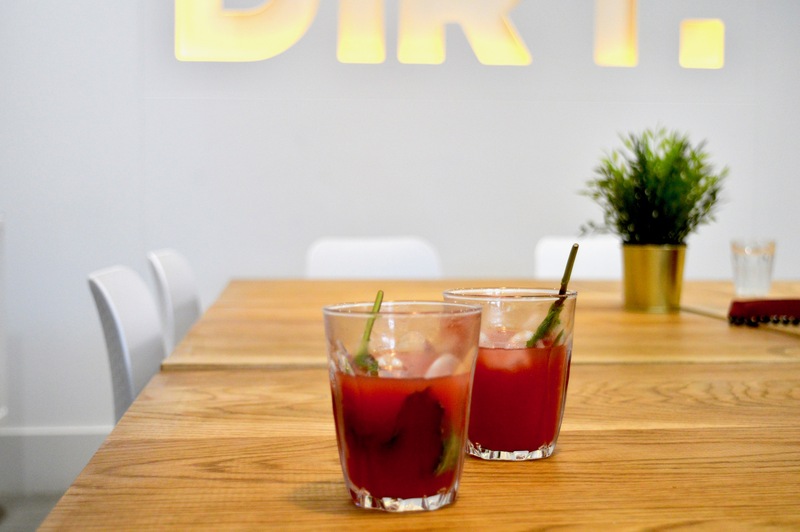 With a minimal white and wooden decor, Dirt looks more like a swanky boutique chain of clean eateries and less like a startup in its infancy. This is only going to help the brand grow from strength to strength over the next few years. Arriving at Dirt we enjoyed a freshly squeezed Watermelon, Cucumber and Mint juice which was massively refreshing. It is Dirt’s commitment to creating all produce instore. The team have 3 fantastic chefs creating some serious fusion in the kitchen. We sampled some of Dirt’s main menu and they do also offer a specials menu which changes fortnightly. There is also a breakfast and brunch menu alongside a kids menu. I personally think that this is a great idea from Dirt to be child inclusive. How are we expected to teach our children, the generation of the future to respect their bodies and their planet if we aren’t including them in dining out? Gnocchi is one of those things that’s totally underrated and not enough places really make a feature of their gnocchi, especially if it’s freshly made like Dirt’s. 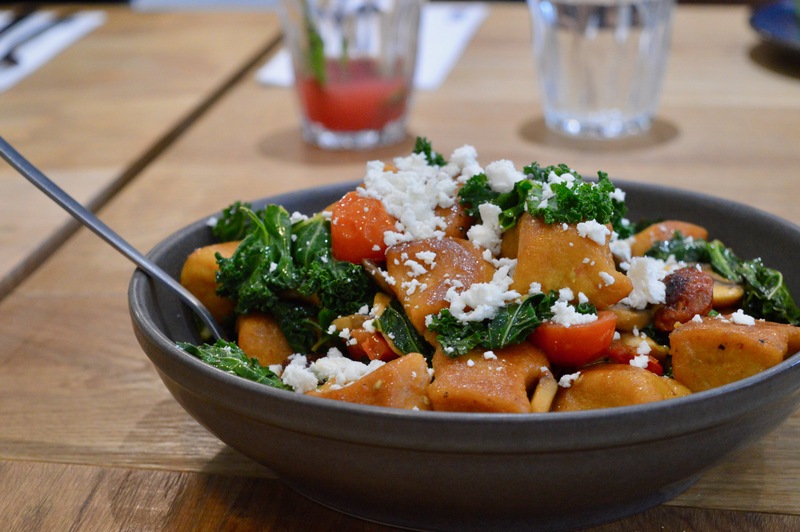 This sweet potato gnocchi was teamed perfectly with chorizo to bring out the rich flavour while balancing the flavours. The addition of kale and spinach gave a great colour alongside the orange go the gnocchi. And the mushrooms and feta added to the intense flavour, making this dish a hearty yet clean meal. Dhal is one of my most favourite foods to enjoy. 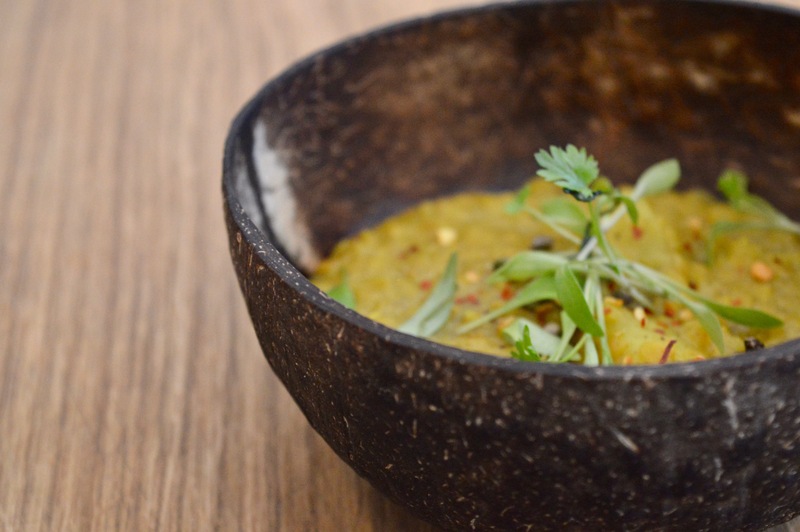 It’s perfect for the Autumnal weather arriving and this vegan, gluten free, dairy free dhal was absolutely delicious. Served in a coconut bowl the flavours were amazing and rich. The texture and consistency were just perfect and this was my favourite dish of the evening. This comes highly recommended and I’d say is a must-have. Halloumi is life. Beetroot not so much. I genuinely can’t eat things if I can taste beetroot so was slightly apprehensive about this burger. The beef, which is locally sourced paired with the beetroot, however, was sensational. 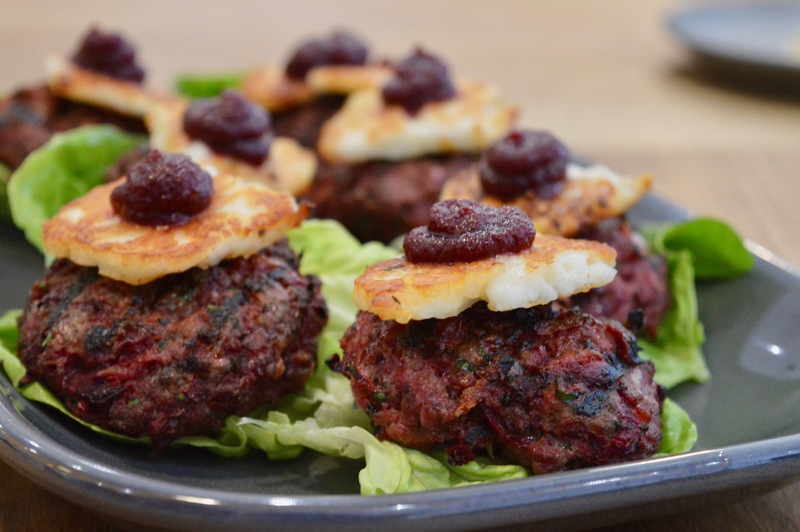 The flavours worked together and the beetroot complimented the meaty flavour. The halloumi pulled the whole dish together and this would be a dish that I’d have again, that perhaps I would have overlooked usually. Out of all the dishes, this was my least favourite, only in so much as it’s not something I would usually go for and I wasn’t keen on the texture. 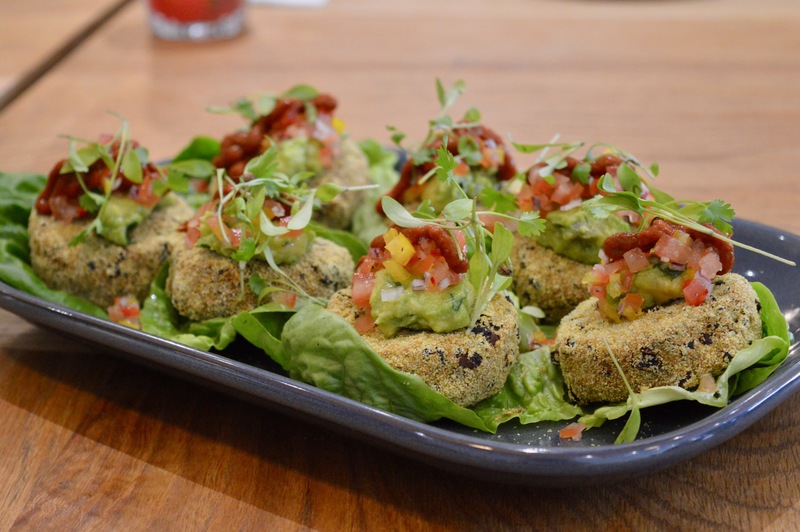 The concept of vegan ‘meatballs’ using Mexican beans, however, was a great concept. This dish is vegan, gluten free and dairy free which is great if you’re looking for something delicious and different for lunch. 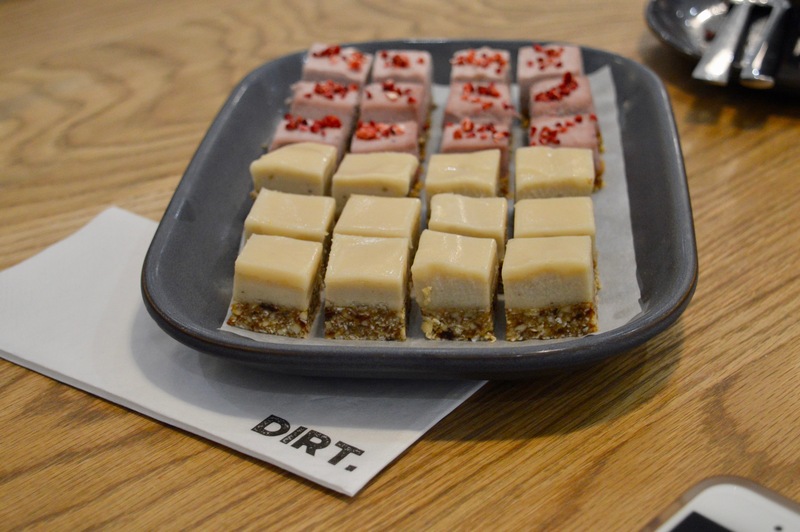 Dirt’s sweet treats are also making a huge name for themselves across Newcastle. All prepared in-house the offering extends from clean cakes to brownies and more. 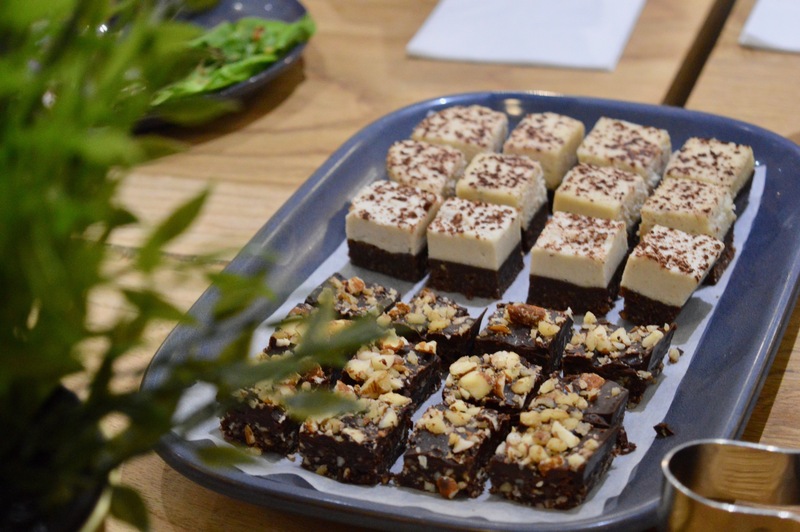 We sampled a selection of delicious treats that were devilishly naughty in flavour but made from nuts and berries to be the naughtiness we crave. Without the naughtiness, you find in a bar of chocolate. The passion and drive behind Jessica and team Dirt is amazing. The consistency and attention to detail not just with the food. But the service and the aesthetics of the whole place are phenomenal. The food is absolutely divine and I highly recommend you take a visit to Chillingham Road, Heaton to check out Dirt for yourself! So why not pin me for later?